WARNING: The following contains possible spoilers for Avengers: Endgame, in theaters April 26. A new report suggests Rene Russo will make her return to the Marvel Cinematic Universe as Queen Frigga of Asgard, the wife of Odin and the mother of Thor and Loki, in Marvel Studios' highly-anticipated Avengers: Endgame. Frigga was killed in 2013's Thor: The Dark World. Russo isn't the only surprising addition to the Endgame cast. Revenge of the Fans also reports another Community alum is set to appear in the Marvel Cinematic Universe -- which is unsurprising, given Anthony and Joe Russo's attachment to the now-ended television series. Ken Jeong, well-known for his role as the unhinged Ben Change on the popular NBC sitcom, will be making a cameo in Endgame as well. Danny Pudi, who played main character Abed Nadir on the hit sitcom, had a brief cameo as a S.H.I.E.L.D. tech in Captain America: The Winter Soldier. Later, Donald Glover, who played Abed's partner in crime Troy Barnes, appeared as the character Aaron Davis in Spider-Man: Homecoming. Additionally, Jim Rash, who played Craig Pelton, the dean of Greendale Community College, had a cameo in Captain America: Civil War as the dean of M.I.T. Walton Goggins, known for his role as antagonist Sonny Burch in Ant-Man and the Wasp, also appeared as a guest star in an episode of Community's fifth season. Finally, Brie Larson, who is set to appear as Captain Marvel in both Endgame and the character's eponymous solo film, made not one, but three guest appearances across Seasons 4 and 5. Naturally, with these reports being unconfirmed, fans should take them with a grain of salt. 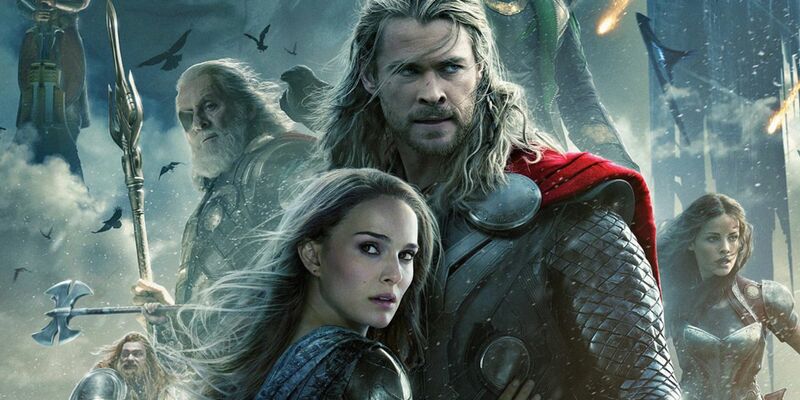 Even so, it will certainly be interesting to see what exactly the future holds for the ever-dwindling Asgardian royal family when the follow-up to Avengers: Infinity War hits theaters later this year. Directed by Joe and Anthony Russo, Avengers: Endgame stars Robert Downey Jr., Josh Brolin, Mark Ruffalo, Tom Hiddleston, Chris Evans, Chris Hemsworth, Jeremy Renner, Chris Pratt, Elizabeth Olsen, Chadwick Boseman, Sebastian Stan, Benedict Cumberbatch, Paul Bettany, Samuel L. Jackson, Cobie Smulders, Benedict Wong, Zoe Saldana, Karen Gillan, Vin Diesel, Dave Bautista, Pom Klementieff, Scarlett Johansson, Tom Holland and Anthony Mackie. The film arrives April 26, 2019.